The folks who delivered your doughnuts are now dropping hot chocolate to your doorstep. 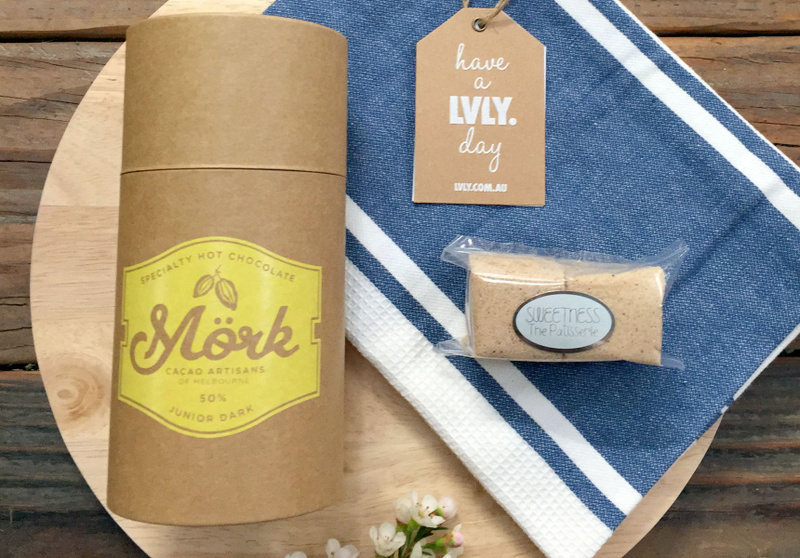 After the initial success of its doughnut delivery collaboration with Shortstop in June, same-day gift delivery service, LVLY, has teamed up with Mork to spread hot chocolate cheer throughout Melbourne. Throughout July, customers can buy the “hug-in-a-mug”, which includes 250 grams of Mork’s Junior Dark cocoa and two brown sugar and cinnamon-flavoured marshmallows from Sweetness. For $38, customers can order hot chocolate that’ll be delivered to a desk or doorstep throughout 70 Melbourne suburbs. There are also add-ons, including coconut hand cream, a candle or the LVLY posy, all of which are intended to help get people through the colder months. 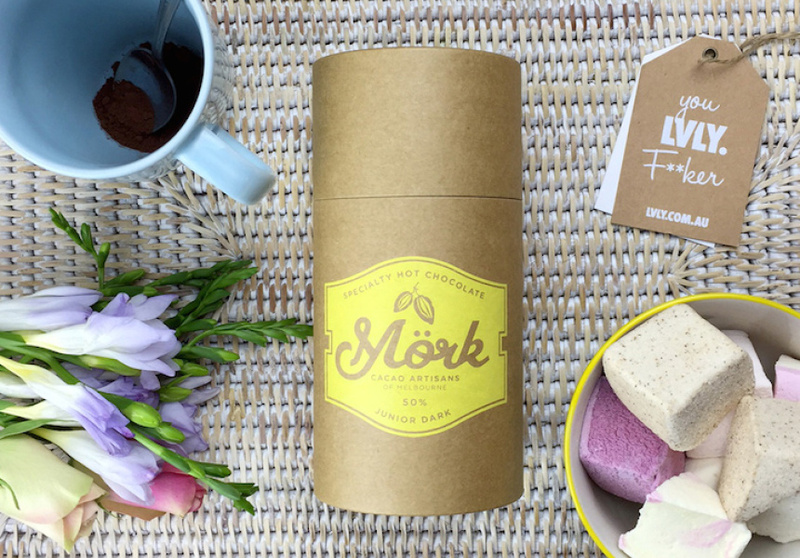 Tuck and her business partner Hannah Donovan have a soft spot for hot chocolate, and for them Mork’s Junior Dark cocoa – a 50 per cent blend with a toffee-like sweetness from coconut sugar – hits the spot. LVLY’s hug-in-a-mug collaboration runs until July 31. Order your hug-in-a-mug before midday for same day delivery.